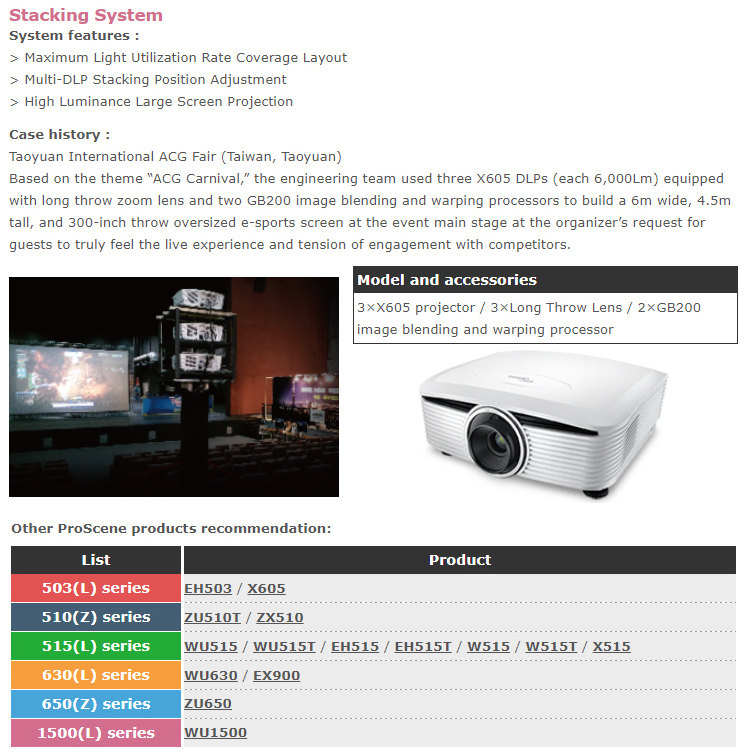 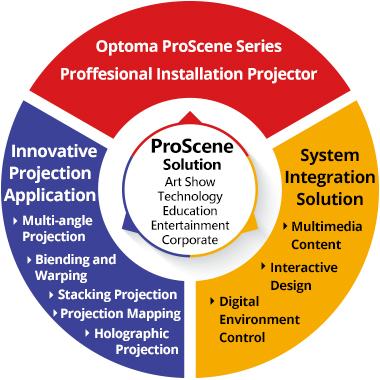 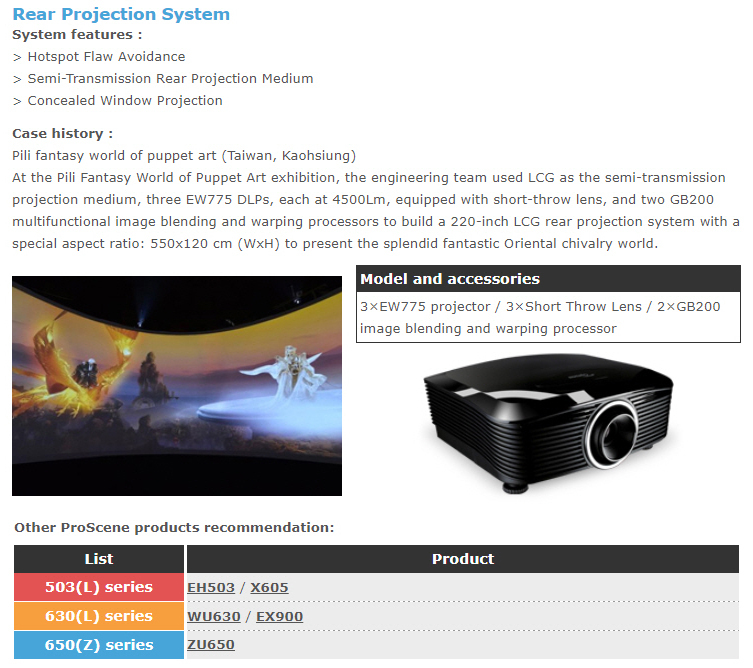 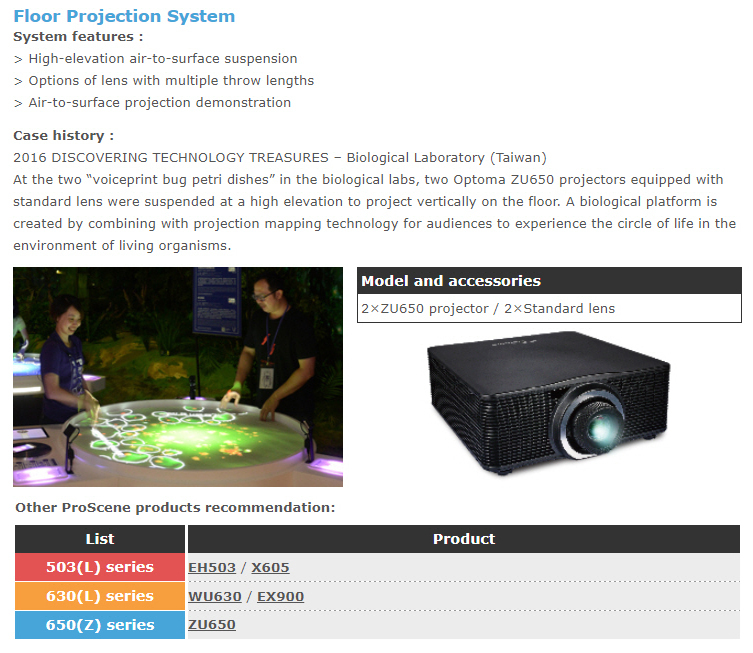 Optoma ProScene solutions combine multi-angle projection, blending and warping, holographic projection, physical object projection mapping, 3D projection, and stacking projection technologies. 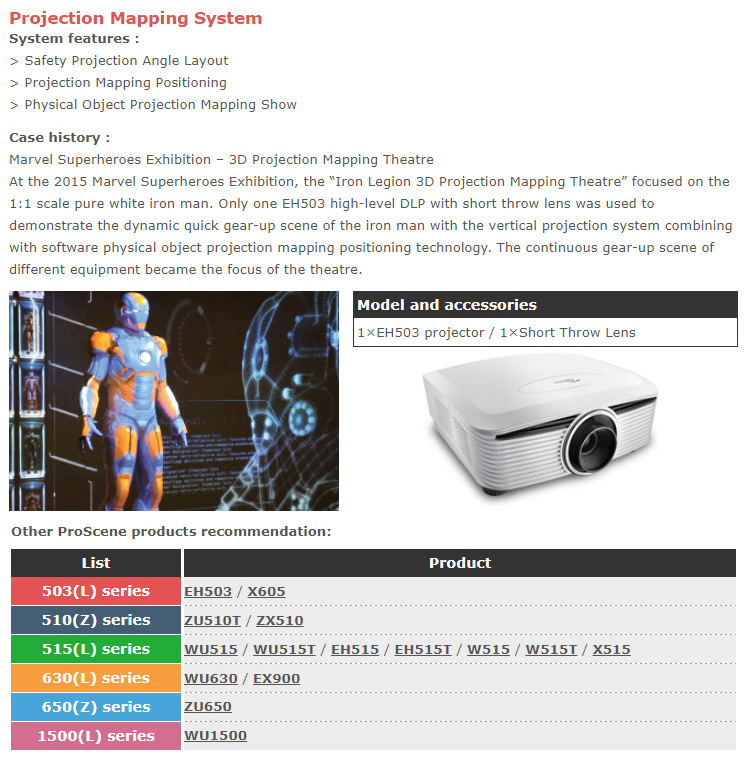 Also with consistent project planning, design, construction, and verification together with multimedia content, interactive design, digital environment control, and other technologies, we can fulfill the needs of each project with perfect interpretation to bring audiences with unprecedented experience! 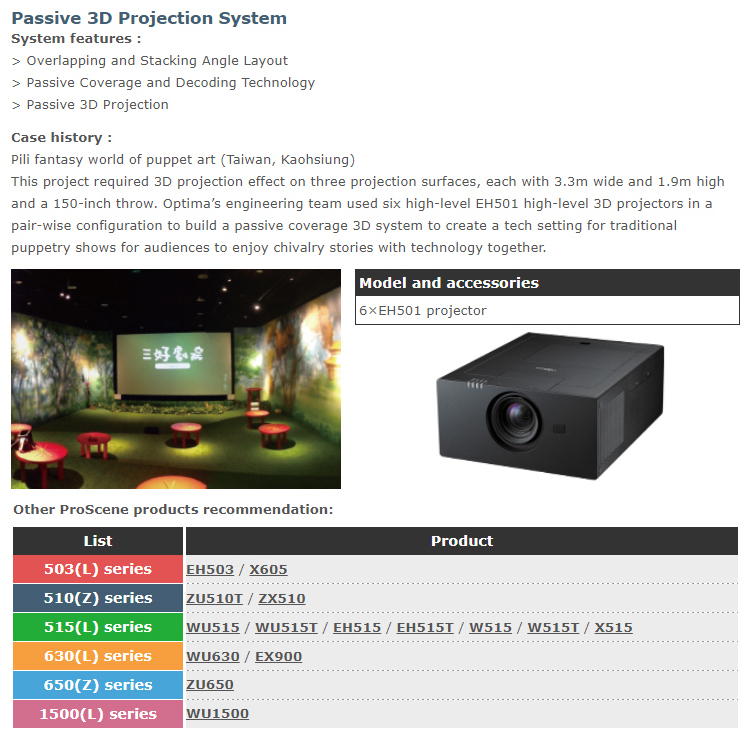 For more than ten years, Optoma has been at the forefront of projector design and manufacture - one of the very few companies that focuses exclusively on projectors. 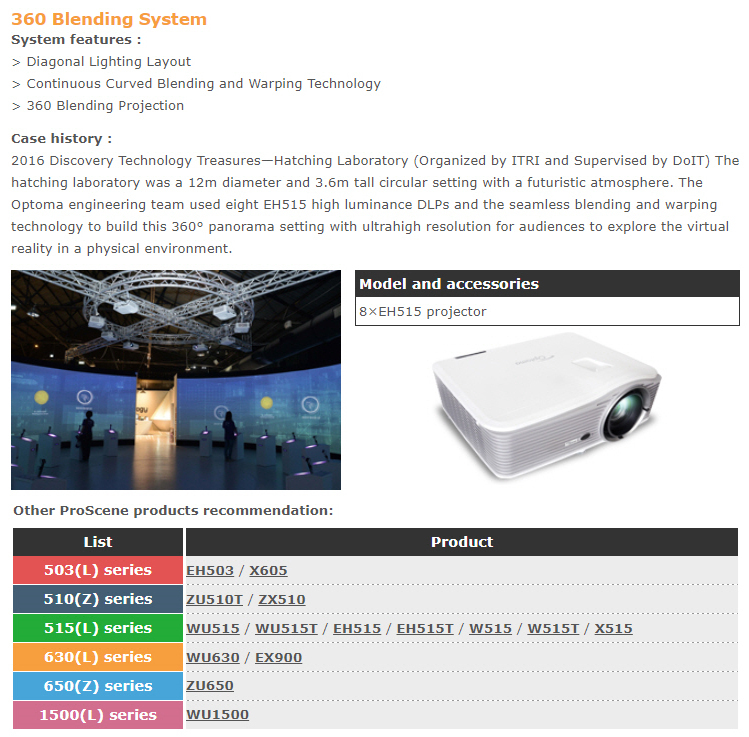 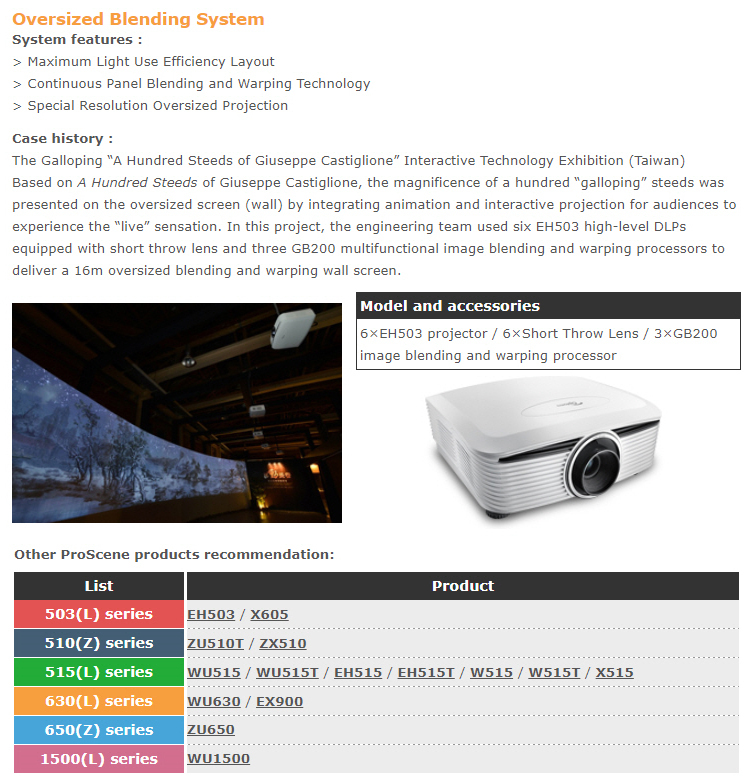 Today, Optoma has the ability to integrate professional projector sales, large-screen imaging application, and system solutions. 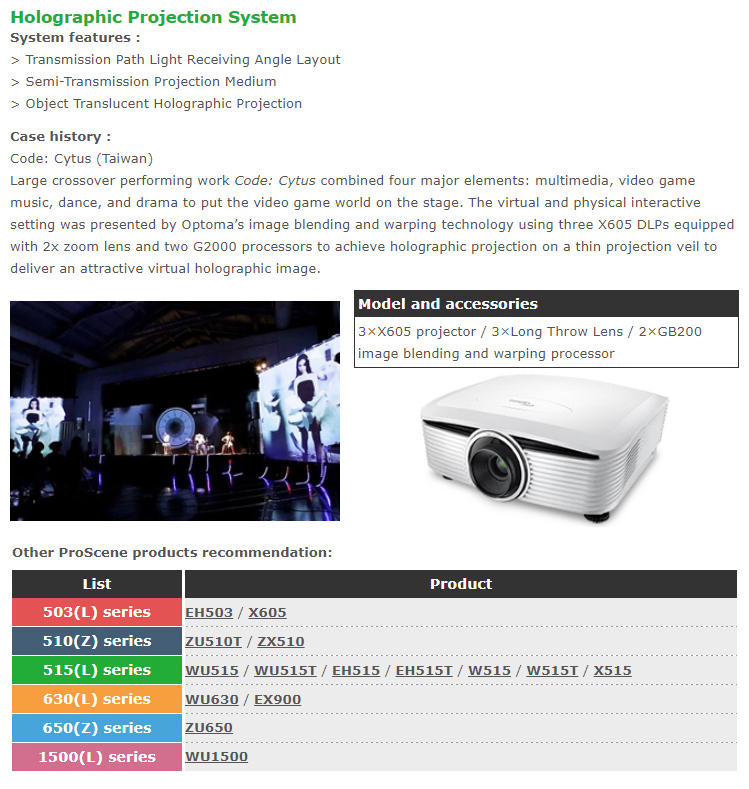 In system integration solution, we are a professional and specialized in the planning, design, construction, and verification of total solutions.